The NCAA transfer portal is one of the hottest topics of discussion right now. 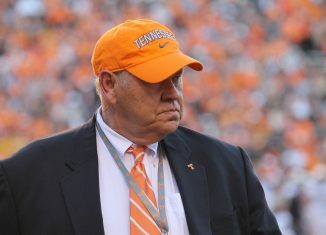 Whether or not you agree or disagree with how the transfer portal is handled or how many athletes have taken advantage of the new rule, Tennessee’s football program has already benefited from the new transfer database this offseason. The Vols have already welcomed in two transfers from other Power Five schools via the transfer portal this offseason. Michigan defensive tackle Aubrey Solomon and Georgia athlete Deangelo Gibbs both left their original schools to transfer to Tennessee. 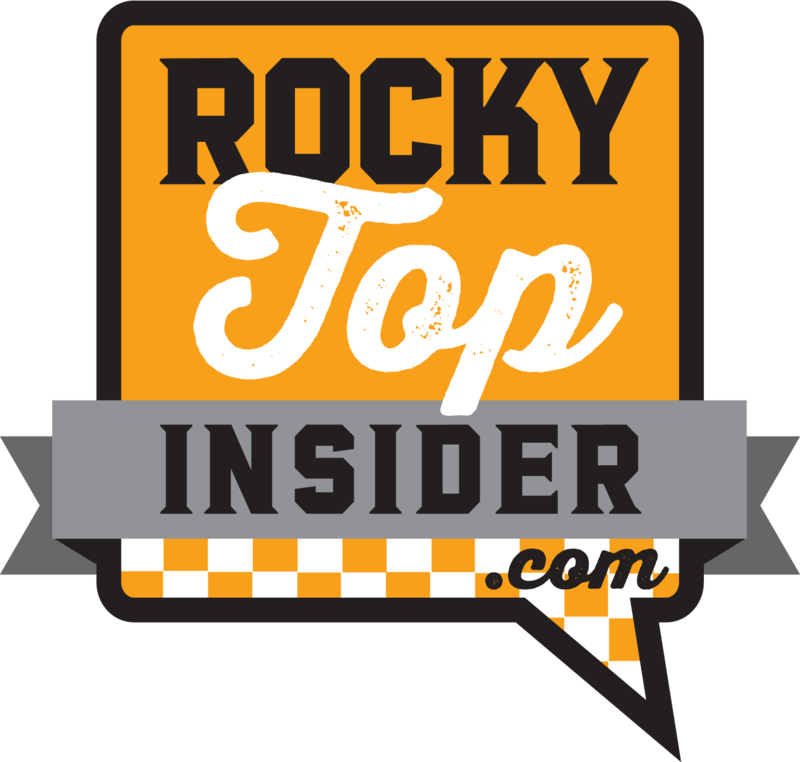 In the case of Solomon, there’s a thought among those at UT that Tennessee’s waiver to get Solomon eligible immediately for the upcoming 2019 season could go through. 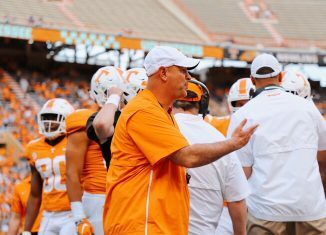 Tennessee head coach Jeremy Pruitt said during his press conference on National Signing Day last week that UT has already sent in waivers for both Solomon and Gibbs to try and get them eligible for this upcoming season. 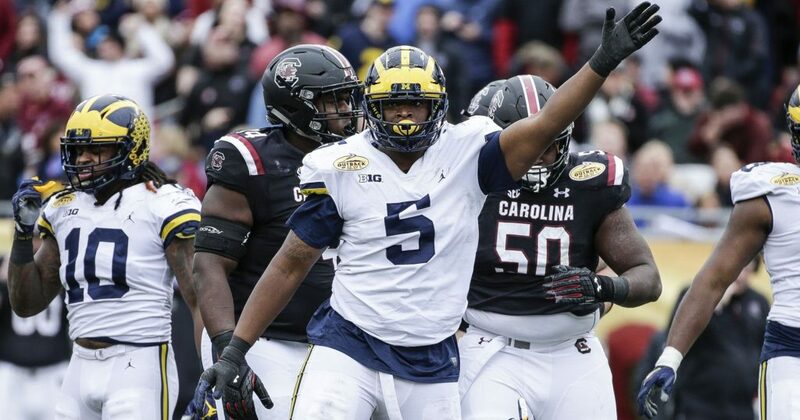 For Solomon, a former five-star prospect who looked in line for a bigger role at Michigan moving forward, the decision to transfer out of the Wolverines’ program came as a surprise to those who cover Michigan football. I caught up with Anthony Broome — the managing editor for SB Nation’s Michigan site, Maize N Brew — about Solomon’s transfer from the Wolverines. He said that when the news dropped that Solomon was considering transferring, it was a surprise. And it was an even greater surprise that he chose Tennessee only a few days after announcing his intention of transferring. 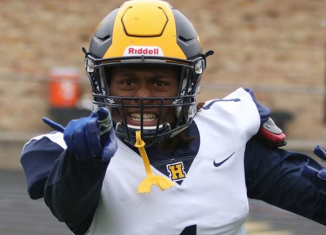 You can hear the full interview with Anthony Broome as he discusses Aubrey Solomon’s career at Michigan, goes more in-depth about his character and time at UM, and much more over on RTI Premium! “It was a surprise. When this news dropped that he was going to transfer a few days ago, it kinda came out of nowhere,” Broome said. “He was a guy who, for Michigan, was expected to be a starter this year. He was hurt and it kept him out of most of this season, but he was still someone who was expected to be out there in a big role when he was healthy. In that regard, it’s a pretty big loss for Michigan. Solomon came to Michigan as a five-star defensive tackle out of Leesburg, Georgia. He was rated as the No. 23 overall player and No. 2 defensive tackle in the 2017 class according to the 247Sports Composite ranking. But his recruitment to Michigan was anything but normal. 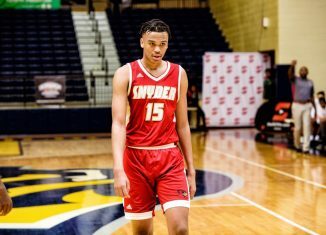 As a recruit, Solomon originally committed to Michigan in June of 2016, but then he ended up decommitting from the Wolverines a few months later in August. After that point, Jeremy Pruitt — who was at Alabama at the time — amped up his recruitment for Solomon, visiting him several times over the following months. Despite that incident, Solomon wound up signing with the Wolverines. “It was a strange recruitment to start with,” Broome stated. 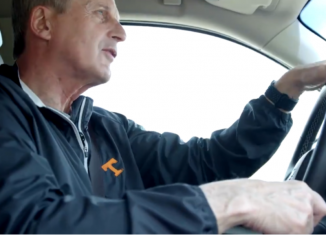 “It just seems like when you have the weird recruitments and the weird transfers…I don’t know how often those guys flip the switch and turn it around and have superstar types of careers. 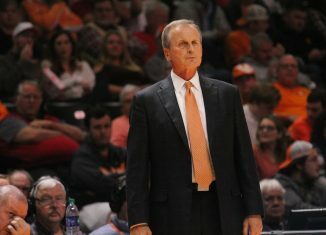 For his sake and Tennessee’s sake, I absolutely hope he does. Solomon never quite lived up to the five-star hype at Michigan, but that wasn’t necessarily all his fault either. Michigan’s defensive system is set up so that defensive linemen are rotated in and out somewhat frequently so that they can stay fresher for longer. Not only that, but when Solomon first arrived at Michigan, there were more experienced players ahead of him who were plenty talented themselves. Even with all that, Solomon still found a role as a true freshman and made some good contributions. He played in all 13 of Michigan’s games in 2017 and totaled 18 tackles and two tackles for loss. He appeared to be in line for more playing time and a bigger role in 2018. 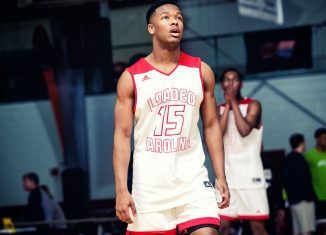 Solomon did suffer injuries in his sophomore season, but Broome believes there could’ve been more to the story as to why Solomon only appeared in six games in 2018 and why he ultimately elected to leave Michigan’s program. “I’m not suggesting in any way this kid has any type of character flaws or things like that. It’s just a little odd, that’s all,” Broom said of Solomon’s decision to transfer. “Clearly there must have been some sort of disagreement in philosophy (with the coaches) or something. It wasn’t like they were benching him or he was promised playing time or anything like that. They had every intention of getting him on the field if he was healthy. It just didn’t work out for whatever reason. When he was on the field and healthy, Solomon showed plenty of potential in Michigan’s defense. Broome doesn’t think failure to live up to expectations was a big determining factor in Solomon’s reason to transfer. 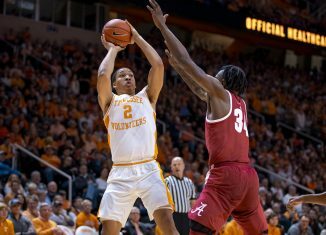 To get Solomon eligible immediately at Tennessee, both he and UT will try to exploit the same loopholes that other players and universities have used to get undergraduate transfers eligible. In some instances, players do have extenuating circumstances such as sickness in their family, scandals at their previous school, or other such instances that can grant them immediate eligibility at their new school. But in cases like quarterback Justin Fields or more recent transfers to other schools, sometimes the reasoning behind granting immediate clearance for an athlete seems murky at best. Both Adam Rittenberg and Tom VanHaaren worked on a piece together on ESPN that looked at how the new NCAA transfer portal is affecting college football. In their research, they found that since the policy changes that started in 2018 came into effect, 64 FBS players have applied for immediate eligibility waivers, and 51 of them received approvals. That means almost 80 percent (79.7 percent) of the players who have applied for immediate clearance at their new schools have gotten it. According to Rittenberg and VanHaaren, the new policies enacted by the NCAA were intentionally vague about what it takes to get eligible immediately as an undergraduate transfer. And many players have been using that to their advantage. “Rather than having to demonstrate egregious behavior by a program or truly extraordinary circumstances, athletes seeking immediate eligibility at another FBS program simply must be academically and athletically eligible, receive no opposition from the school they’re leaving and, according to the modified policy, show ‘the transfer is due to documented mitigating circumstances that are outside the student-athlete’s control and directly impact the health, safety and well-being of the student-athlete,'” the article explains. Michigan took advantage of an “extraordinary circumstance” last offseason when they were able to get quarterback Shea Patterson eligible immediately for the 2018 season after he transferred from Ole Miss. 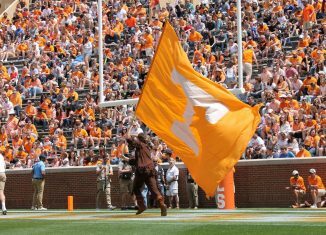 Tennessee hopes to find a way to get Solomon qualified for the upcoming season so that he can contribute immediately to the Vols’ defense in 2019. But Broome isn’t quite as confident that the NCAA will rule in his favor unless something comes up that happened with Solomon at Michigan. 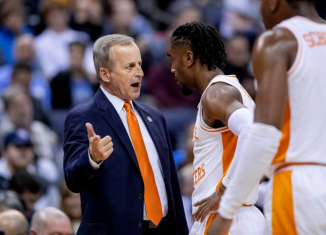 If Tennessee can get Solomon eligible for the 2019 season, what will they be getting from the former five-star recruit? The 6-foot-3, 297-pound defensive lineman could be in line to be a starter for the Vols along the defensive line if he can play. 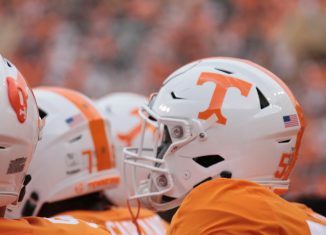 Tennessee lost all three starting linemen and another key reserve to graduation after the 2018 season, and they’re already going to be relying on junior college defensive linemen Savion Williams and Darel Middleton to bolster a young defensive line unit. 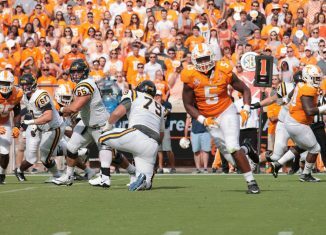 At the very least, Solomon should be able to find a role in Tennessee’s defensive line rotation according to Broome. And he thinks a change of scenery could benefit the former five-star.